When it comes to dinner parties, I tend to overdo it. A week before the event, my list includes plans to bake my own bread, churn my own butter, and kill my own chicken (I exaggerate, but you get my point). In my defense, it’s the cooking part that I love best. To me, nothing is better than getting ready for a big meal. I love planning what I’m going to make and then working to make sure that each aspect is perfect. From the obsessively rolled sushi upon everyone’s arrival to the painstakingly baked tuile bowls that will cradle a scoop of homemade ice cream for dessert, I want to make sure that everything is exceptional. Unfortunately this slightly delusional behavior means that when the doorbell announces the arrival of my first guests, I often find myself stifling a yawn as I battle the urge to crawl in bed with a good book. But I’m vowing to change and I’m starting with dessert. 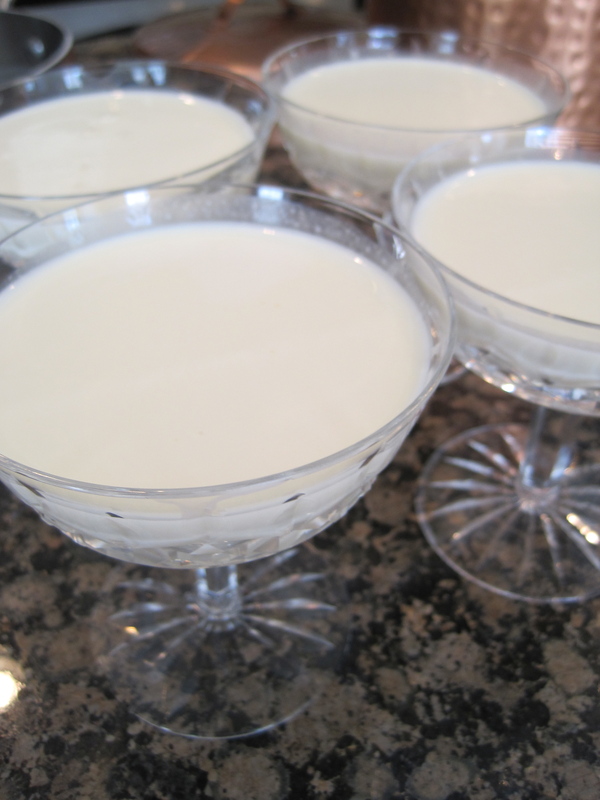 Delicate panna cotta (“cooked cream” in Italian) is the over-achieving yet very busy cook’s answer to dessert. And it should be everyone else’s answer as well! Ridiculously easy to prepare, this chilled dessert will impress even the most discerning guests. In short, this silky, egg-less custard makes a refreshing and elegant finale to any summer meal. Requiring just a few ingredients, panna cotta comes together quickly. The trickiest part involves the gelatin. Unflavored gelatin is sold in little packages and comes in powdered form. It needs to bloom before being used and this happens by sprinkling the powdered gelatin over some water. In minutes, you’ll see the water and gelatin start to gel. While this is happening, in a small saucepan heat the sugar, heavy cream and milk over medium heat, stirring often, until bubbles form around the edges. 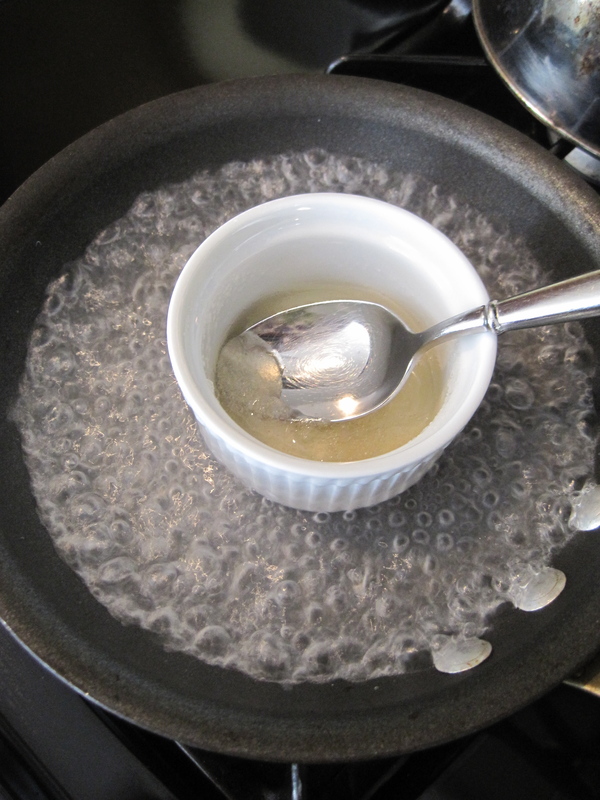 The gelatin can be stirred into the cream at this point, but I like to place the gelatin mixture in a skillet of simmering water (see picture above) to melt the gelatin back into a liquid. This prevents any lumps from forming in my panna cotta as it insures that the gelatin is in liquid form before mixing it back in. While you can most certainly pour the panna cotta mixture into serving bowls and then chill them at this time, I like to set the pot in an ice water bath and whisk it slowly until the temperature drops. By doing this, I can tell that the gelatin has activated properly as the cream will begin to thicken ever so slightly as the temperature lowers. For me, it’s a nice little reassurance for 4 hours later when my guests are anxiously waiting for dessert that the panna cottas will come out perfectly set. 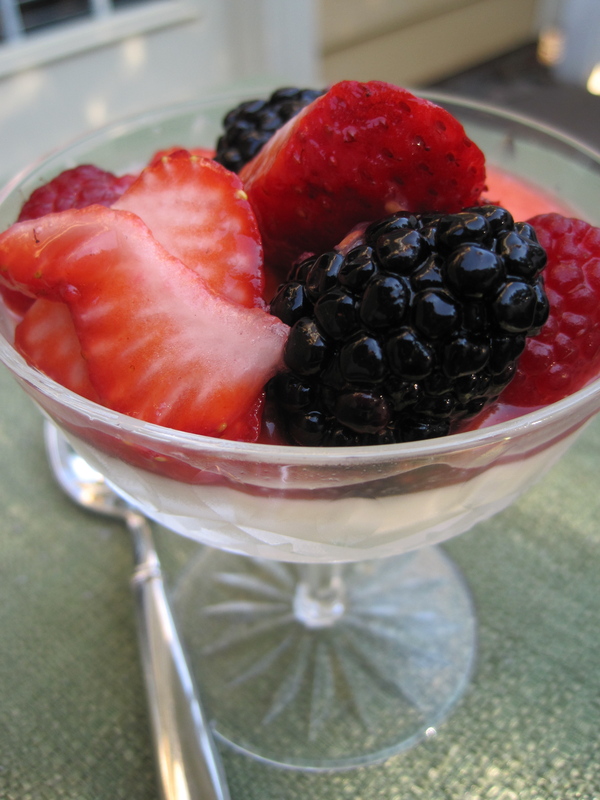 Garnish the panna cottas with some fresh berries soaked in a little sugar and Moscato d’ Asti and then present them to your guests. I promise they’ll be awed and you’ll be awake enough to appreciate it. Prepare an ice water bath in a large bowl. Pour the water into a small bowl or ramekin. Sprinkle the gelatin over the top of the water and allow it to set for about 5 minutes. Bring a small skillet of water to a simmer. 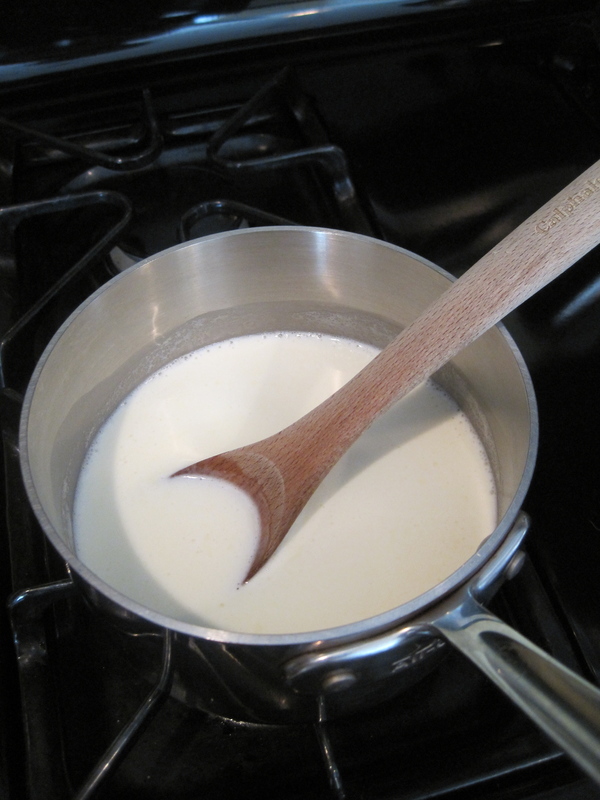 In a small saucepan, heat the heavy cream, whole milk, and ¼ cup sugar over medium heat until the sugar dissolves and small bubbles form around the edge of the pan. Remove the pan from the heat. 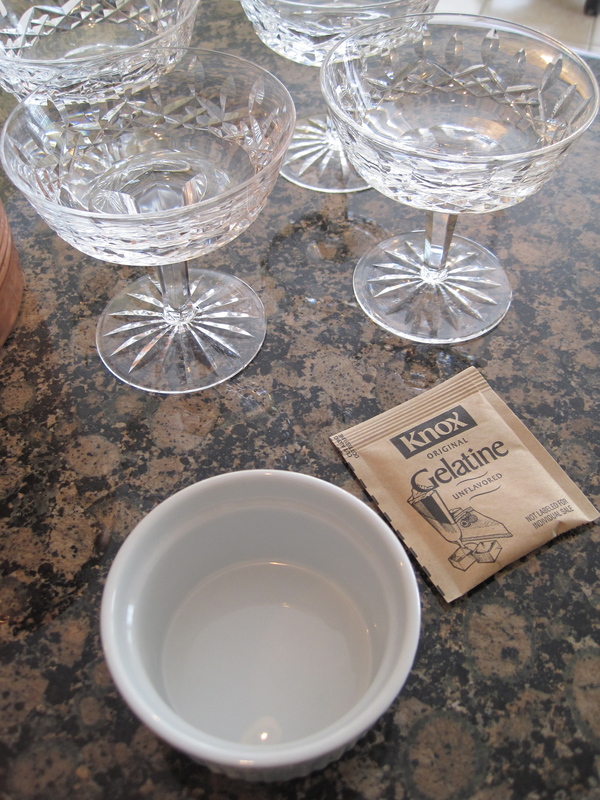 Place the small bowl of gelatin into the simmering water. 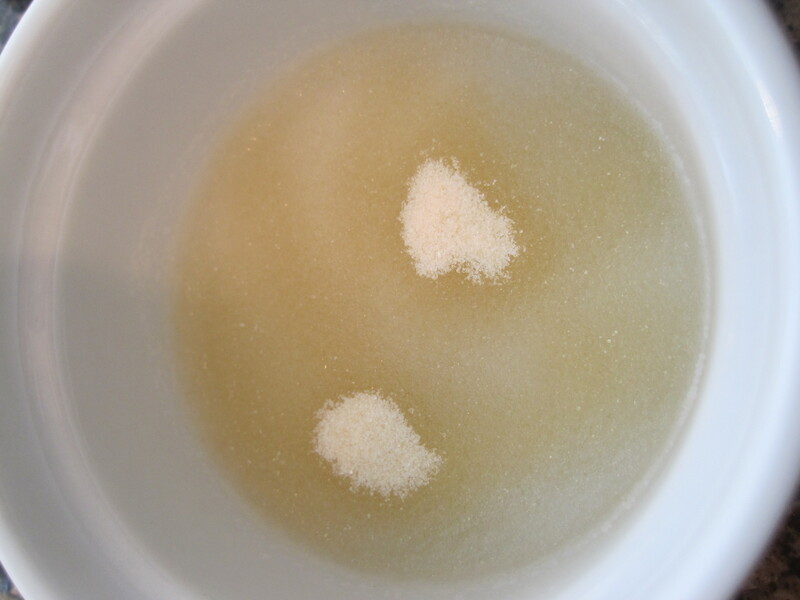 Stir until the gelatin has completely dissolved and become a liquid again. 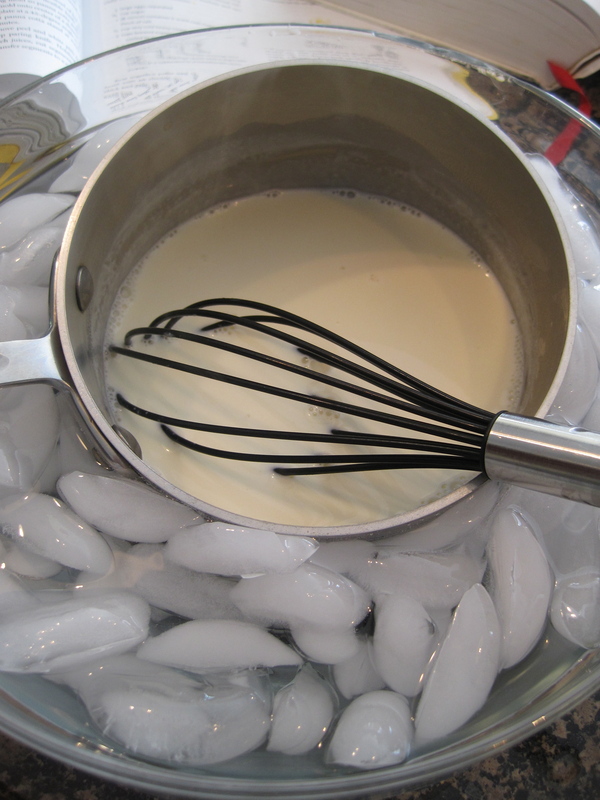 Carefully remove the small bowl from the pan and whisk the gelatin into the hot heavy cream. Stir in the vanilla extract. Place the saucepan into the ice water bath and stir until the mixture has cooled and just starts to thicken. Divide the mixture between four serving bowls. Cover the serving bowls with plastic wrap and chill in the refrigerator for at least four hours. 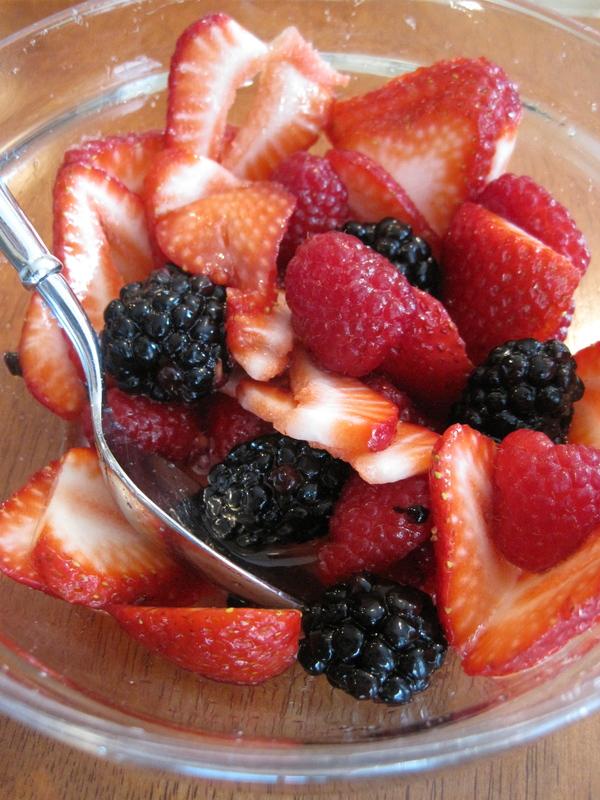 30 minutes before serving toss the mixed berries with the remaining tablespoon of sugar and the Moscato d’Asti. 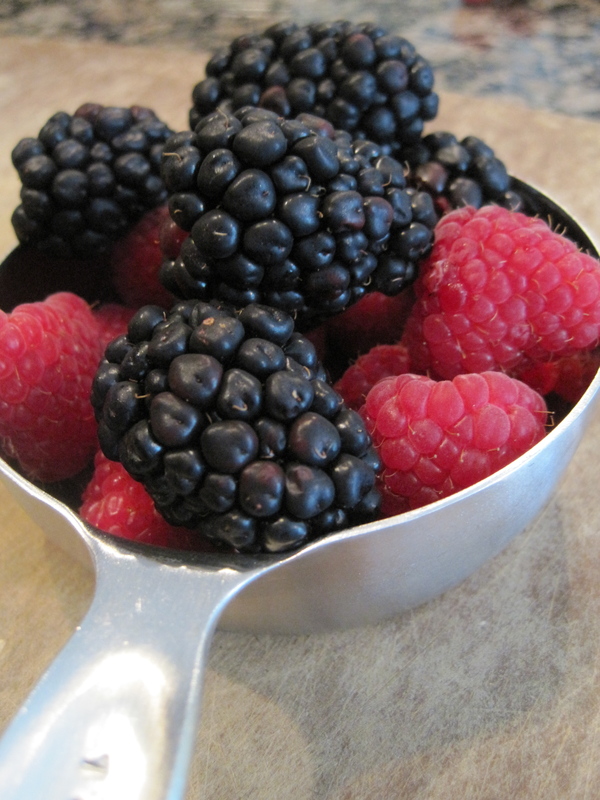 Gently crush the berries with the back of a spoon to release some of their juices. 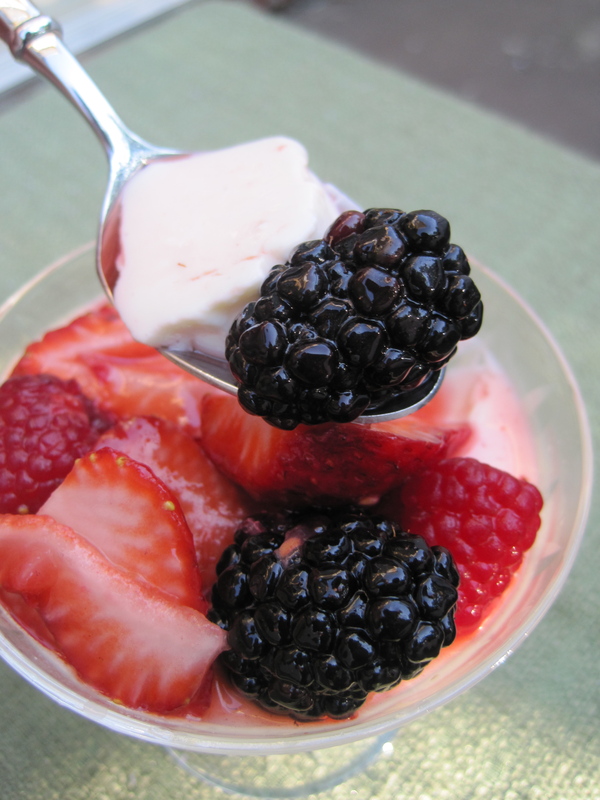 When ready to serve, top the panna cottas with the berries and their sauce. Enjoy! Thanks, Co! I’m glad you enjoyed it. Now I have to find some friends that like fish so I can try your Halibut recipe and Wow them with this great desert. We are getting a new frig this week and my old one has run so poorly that quality cooking has been lost in our house. Now with new frig and having you back with Minced, I have no excuse. Thanks Nikki for your creativity. Great to have you in the fam.